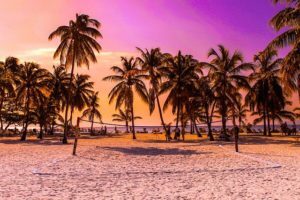 The Caribbean normally evokes thoughts of beautiful sunsets, warm weather, sandy beaches, and the occasional steel drum. 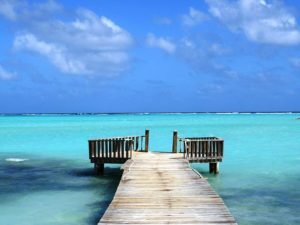 But there’s another sophisticated, classy side to the Caribbean that lures the likes of Hollywood stars and media moguls. There is upscale European flair in these crystal clear waters, and you don’t have to be George Clooney (or his date) in order to go there. Several Caribbean islands maintain links to their colonial pasts, but few do it with the stylish bravado of St. Barthelemy. St. Barths exhibits European chic and Caribbean cool at the same time. It is one of the Leeward Islands, and with its counterparts Guadeloupe, Martinique, and St. Martin, it represents a distinctly French area of the Caribbean. On St. Barths you are likely to find traditional French cuisine as well as a lot of fusion and international dishes. Visit the fish market near Gustavia or pick up fresh produce in St. Jean if you like preparing your own food. There are also plenty of private chefs and gourmet take-out stands to go around. Anse de Columbier for its beauty and seclusion – accessible only by foot or by boat. Anse de l’Orient is recommended for people who like to surf. Of course, if you enjoy watching other people surf, then you will have fun too. In Gustavia, the capital of St. Barths. Le Select is a popular dive that attracts all sorts of people. It has been around a while, and its reputation keeps the people coming. Baz Bar is also worth a visit because it is situated on the harbor, and there is live music. STAY: If you need landside accommodations (as opposed to sleeping on a sleek yacht in the harbor! ), then consider Salines Garden Cottages or St. Martin Sea Palace. Consider buying a timeshare, particularly if you travel a great deal. St. Barths numerous boutiques to get the full effect of what many call the best shopping in the Caribbean. From high fashion items to local lotions, you will see a quality, colorful array of products. Keep an eye out for palm bags and baskets, jewelry, or your favorite designer’s new line of clothes. St. Barths is a duty free port so go ahead and get that Hermes scarf! Be aware that stores often break midday but then stay open till around 7pm. St. Barths is a volcanic island surrounded by reefs and infused with a sense of affluence and indulgence. Between the designer stores, cute cottages, and luxury yachts, it is easy to get caught up in the splendor of this perfect island. The beach bars in St. Jean are reminiscent of St. Tropez so if you close your eyes and listen to the language you’ll practically be transported there. It is easy to see why the French West Indies, and specifically St. Barths, appeal to celebrities. Who knows? When you visit, you may very well see one for yourself.